Cover Artwork: Stained glass panel by glass artist Kathryna Cuschieri. Photographed by Joe Griffin. Nicki Griffin was the 2010 Over the Edge New Poet of the Year. Her debut collection, Unbelonging, has two main themes, both of which examine a sense of displacement. The first is personal, a consideration of dislocation of self in place, both her own and of those who struggle in new countries or within their own communities. The other theme is public and looks at the relationship between those with power and those without, how this affects our lives in modern western society, our civil liberties, the tensions between human needs and environmental degradation. In the collection she explores the connection between these two aspects of the human condition, how we interact with the world and how, by considering ourselves as separate from and in control of this world we threaten our future existence. 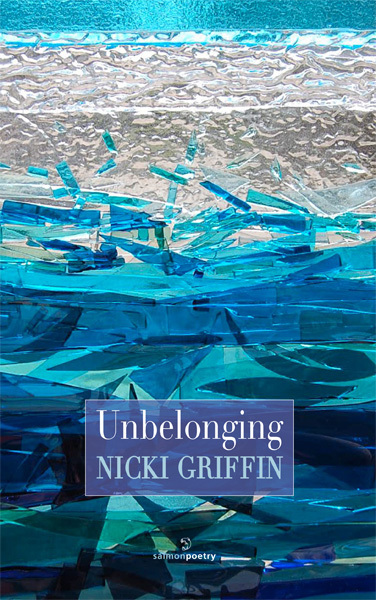 Nicki Griffin grew up in Cheshire in the north west of England but has lived in East Clare since 1997. She completed an MA in Writing at NUI Galway in 2009. She won the 2010 Over the Edge New Poet of the Year prize and in 2012 was awarded a Literature Bursary by the Arts Council. She writes for Inland Waterways News and co-edits poetry magazine Skylight 47. 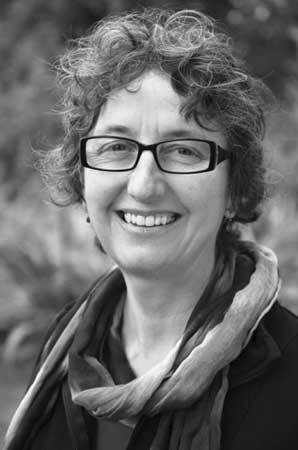 Her first work of non-fiction, The Skipper and Her Mate, was published by New Island in 2013. From under the willows a startle of blue. of sunlight through the kitchen window. that I’m better than the people here. slid a blue-stoned ring on your wedding finger. hungering for the toes of children. the carnal abandon of teenagers.